Cleveland, OH USA (where I live) is like a person with a punched-in nose, it has to fight hard to hold its head up in the world. And it keeps getting bashed around. The economy, lost jobs, losing sports teams. Sometimes it just seems like the whole city suffers from low self esteem. But that doesn’t mean that there aren’t some very cool things happening in and around Cleveland. Those of us who live here hear this all the time from visitors who say things like, “My word, I had no idea . . .” And basically folks outside of Cleveland really don’t have any idea of what is here any more that I had any idea what was in Shanghai, China before I visited there. 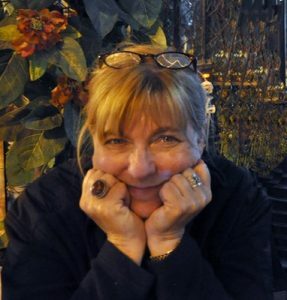 So, I wrote a book about my town, What’s So Big About Cleveland, Ohio? I invented two characters to tell my story. Alan lives in Cleveland and has to entertain Amanda when she comes to visit. Big problem. Amanda has been all around the world (her mother’s a photojournalist). Alan takes Amanda to see Lake Erie, the Rock and Roll Hall of Fame, the Natural History Museum, the West Side Market and all kinds of places. Amanda had one response, “Booooooooooooring!” What’s so big about a market in Cleveland when you have been to Marrakesh, Morocco? asks Amanda. 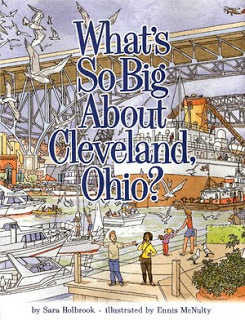 What’s so Big About Cleveland, Ohio is a picture book that I wrote a dozen years ago and I never thought it would have a life outside of (where else?) Cleveland, OH. But as I have traveled to places like Marrakesh, Morocco, Shanghai, China, Seoul, Korea, Abu Dhabi, Jakarta, Indonesia, Kuala Lumpur, Malaysia and places closer to home like Houston, TX, Albany, NY and Betsy Lane, Kentucky I have met kids who have used my book as a model to write books about their own cities. Even one school in Cleveland, A.J. Rickoff, where students used the book as a model to write about their neighborhood, Mt. Pleasant. I am setting up this page so that students can write to me about their cities and let me know What’s so Big about Where YOU Live.